Public art is exactly that—public. It brings communities together through expression and interpretation while provoking communication. There are no limits to what it can be or what it can do for those who view it. What is so special about how Lubbock creates and shares art is the contagious desire to bring innovative, thought-provoking and unique pieces to the community. Everywhere you turn in Lubbock, there are works crafted by artists wanting to cultivate something rare and significant in the “Hub City.” The City of Lubbock collectively recognizes this mission. We spoke with Tonja Hagy, marketing and events coordinator for the Buddy Holly Center and Silent Wings Museum, to learn more about the public art pieces owned by the City of Lubbock. Made of acrylic paint and cinder blocks, this mural depicts scenes to inspire pride in the predominantly Hispanic Guadalupe Neighborhood. The first Aztlan mural was organized by Lubbock’s local chapter of Brown Berets, a Chicano activist group popular in the 1960s. It was painted by New York artist Fernando Penaloza in 1977. It was damaged soon after by severe weather and what remained was quickly destroyed by vandals. 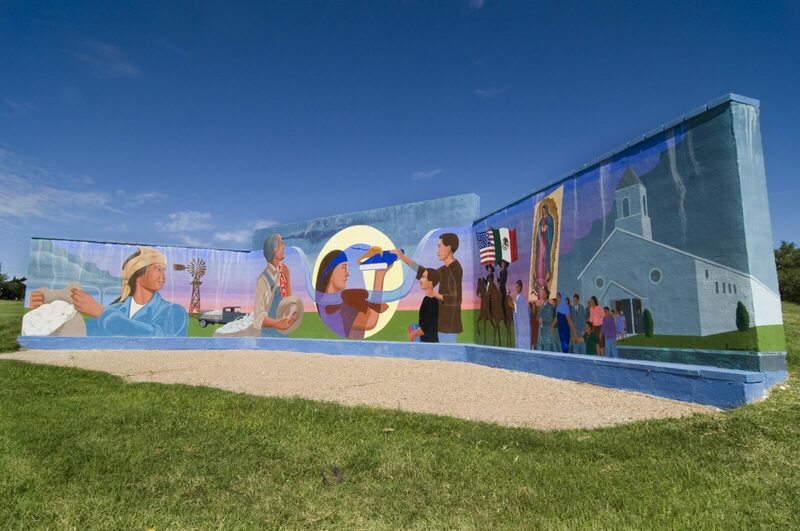 In 1994, the Guadalupe Neighborhood Association and the Lubbock Fine Arts Center banded together to have another mural painted. Denver artist Emmanuel Martinez was commissioned to create the current mural. 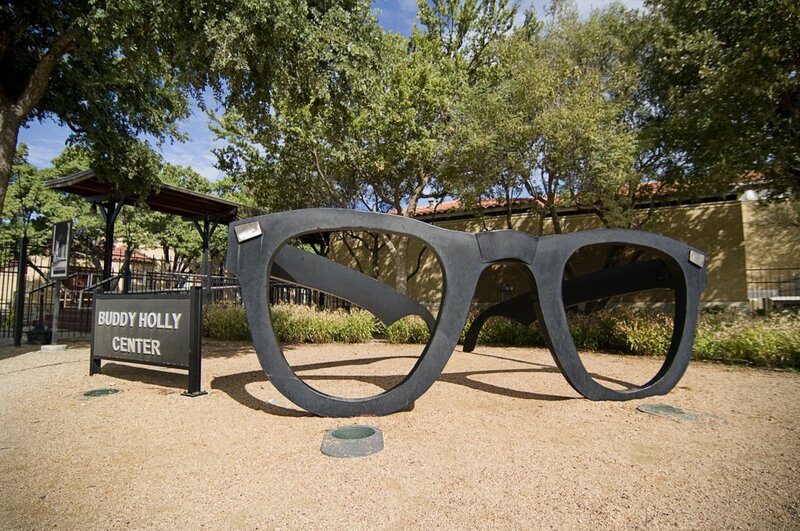 Outside the Buddy Holly Center, you will find a large statue of rock ‘n’ roll legend Buddy Holly’s iconic thick, black-rimmed glasses done in steel. The glasses are larger-than-life in classic Texas style. Created by local Lubbock sculptor, Steve Teeters, this public art piece is one of Lubbock’s legendary locations to take a picture with your family or friends. 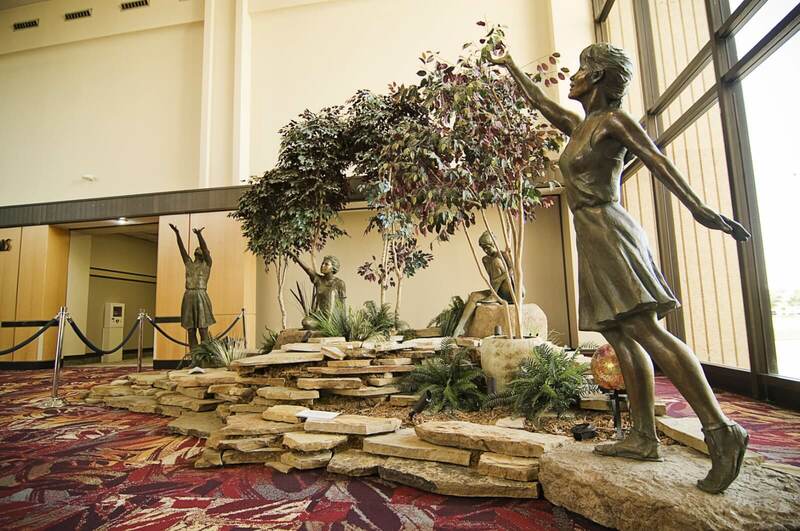 This piece depicts four female bronze figures dressed in dancer like sheaths seated within a rock “garden” surrounded by plants and small trees. The nationally acclaimed artist, Glenna Goodacre, was born and raised in Lubbock, Texas and has been a practicing artist for over 40 years. 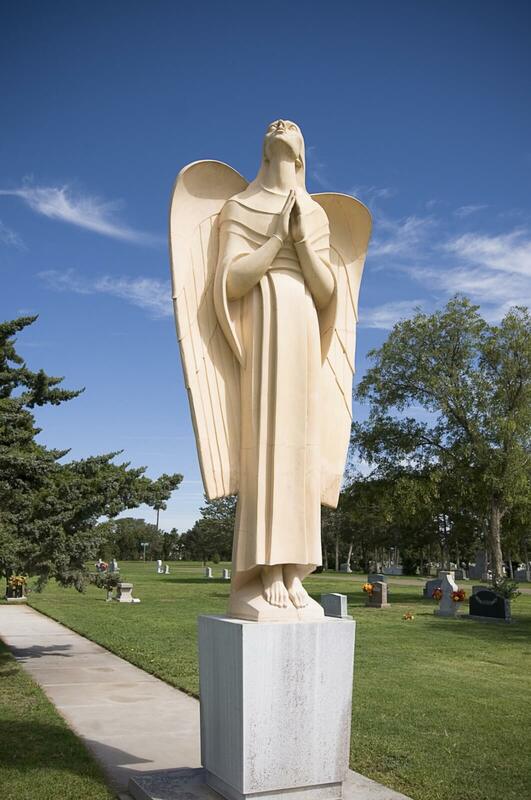 Her public sculptures in America can be viewed in more than 25 states, with multiple pieces residing right here in Lubbock. She has won countless awards and received honorary doctorates from Colorado College, her alma mater, and Texas Tech University. In 2003, she was awarded the prestigious Texas Medal of Arts and was inducted into the Cowgirl Hall of Fame in Fort Worth. The City of Lubbock held a competition for an artist to create an inspired sculpture for the City of Lubbock Cemetery. Artist Charles Umlauf was ultimately selected. He was known for the sculptures he created for numerous public buildings, as well as for serving 40 years in the Art Department at the University of Texas. Sadly, Umaluf passed away in 1994. The Umlauf Angel is the only full-size casting of an angel that he ever made. 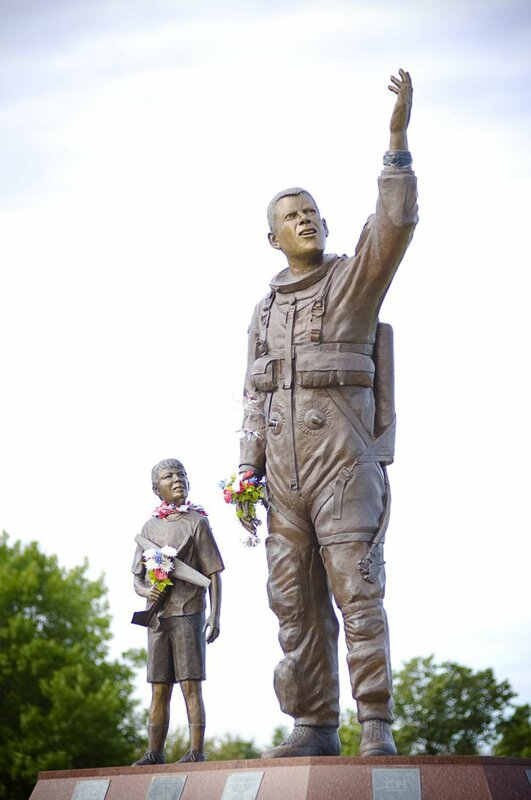 The large bronze statue, created by Lubbock artist Eddie Dixon, features NASA astronaut and Lubbock native William “Willie” McCool standing with his left arm extended to the sky. To his right stands a young boy holding a toy airplane. McCool, the pilot of Space Shuttle Columbia, died with the rest of his crew on February 1, 2003 when Columbia disintegrated during re-entry into the atmosphere. The sculpture memorializes McCool’s impact in space. In a way, McCool’s vision for our world is how artists hope we observe their public art—without borders, embracing beauty and magnificence, striving to live as one, together as a community.